The Fiat is the Italian that car is very hipster and stylish. This compact car has a unique sense of style that is perfect for short trips to your local vacation spot without burning too much gas. Whether you?re looking for a car with plenty of stylish points and an overhead roof pass, you?ll love everything this car has to offer. If you?re looking to something that is unique come to Cutter Fiat today for an amazing 2016 Fiat 500C. Cutter Fiat is located at 777 Ala Moana Blvd. in Honolulu, HI and serves the following cities: Kailua, Kapolei, and Hawaii Kai, HI. There are two different Fiat 50 models to choose: Fiat 500C Pop and Fiat 500C Lounge. You have a wide selection of exterior colors to choose: Bianco (white), Bianco Perla (white pearl), Billet Argento (silver), Espresso (brown), Gialo Moderna Perla (yellow pearl), Granito Lucente (dark grey with metal flake), Luce Blu (light blue), Laser Blu (bright metallic blue), Rame (copper), Nero Puro (black), Rosso (red), Rosso Brillante (red tri-coat), Verde Azzurro (blue-green), Verde Chiaro (light green), and Verde Oliva (olive green). Interior colors include a selection between Avorio (ivory) Cloth or Nero (black) Cloth. For roof colors you have an option between a Beige soft top or a Bordeaux soft top. The starting MSRP for 2016 Fiat 500C retails at $20,345 and has an MPG rating of 31 city/40 hwy. The Fiat 500C comes equipped with a 101HP 1.4L Inline 4 engine with front-wheel drive and 5-speed manual transmission. Exterior features include 15? all-season tires with steel wheels, intermittent wipers, power convertible roof, and a rear defogger. Interior features of the 2016 Fiat 500C include height adjustable driver seat, cloth seats, buck fron seats, split-folding rear seatback, remote keyless power dor locks, 2 one-touch power windows, a clock, tachometer, trip computer, and an external temperature display. Comfort and convenience features that are installed on the 2016 Fiat 500C include cruise control, front and rear cupholders, front door pockets, manual driver seat easy entry, front seatback storage, electric power steering, rear parking sensors, tilt-adjustable steering wheel, audio and cruise controls on steering wheel, interior air filtration, air conditioning, leather steering wheel, and dual vanity mirrors. The audio features on the 2016 Fiat 500C include an AM/FM stereo equipped with 6 total speakers auxiliary audio input and USB with external media control and a USB connection. If you?re looking to have more features loaded onto your 2016 Fiat 500C then you?ll want to consider the premium models such as the Fiat 500C Turbo. Features here include 16? alloy wheels, all-season tires, a tire repair kit, premium cloth bucket front seats, split-folding rear seatback, remote keyless power door locks, 2 one-touch windows, clock, tachometer,, trip computer, external temperature display, cruise control, front and rear cup holders, front door pockets, manual driver seat easy entry, front seatback storage, electric power steering, rear parking sensors, tilt-adjustable steering wheel, audio and cruise controls on steering wheel, interior air filtration, air conditioning, leather and simulated alloy steering wheel, and dual vanity mirrors. One of the key highlights on the 2016 Fiat Turbo and other premium models is the audio system. The audio system here is fitted with six Alpine premium brand speakers, 276 Watts stereo output, AM/FM stereo, auxiliary audio input and USB with external media control, USB connection and a Bluetooth wireless data link for hands-free phone connection. Optional packages for the 2016 Fiat 500C include Quick Order Package 25X, Quick order package 2FX, comfort/convenience group, beats audio package, smoker?s group, MOPAR basic all weather package, MOPAR scorpion package, 17? forged aluminum hyper black wheels, black trimmed lights, red mirror cap w/body side stripe, gray mirror cap w/body side stripe, black mirror cap w/ body side stripe, white mirror cap w/ body side stripe, Nero, GPS navigation, premium leather trimmed bucket seats in black or red, and an engine block heater. Safety features are what help the Fiat stand out from its competitors. The safety features onboard the 2016 Fiat 500C include 4-wheel ABS, front and rear head airbags, dual front side-mounted airbags, child seat anchors,, remote anti-theft alarm system, emergency braking assist, ventilated front disc/ solid rear disc brakes, daytime running lights, engine immobilizer, front fog/driving lights, 2 front headrests, 2 rear headrests, stability control, traction control, rear height adjustable headrests,, post-collision safety system,, and a tire pressure monitoring system. The 2016 Fiat 500C will serve you well mile after mile, but just in case, every model comes with great warranty coverage. Warranties include a 4 year/50,000 mile basic new car warranty, a 4 year/50,000 mile drivetrain warranty, and a 5 year/100,000 mile corrosion and perforation warranty. 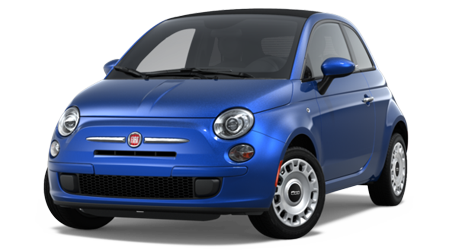 If you?re looking for an Italian designed compact car that is very cute and quaint then you?ll love the 2016 Fiat 500C. If you?re in need of something stylish to enjoy the sunset drives along the coastline you can?t go wrong with a 2016 Fiat 500C. Come to Cutter Fiat today for an amazing deal on the 2016 Fiat 500C. Cutter Fiat provides one of the best customer services and friendly deals! Cutter Fiat is located at 777 Ala Moana Blvd. in Honolulu, HI and serves the following cities: Kailua, Kapolei, and Hawaii Kai, HI.